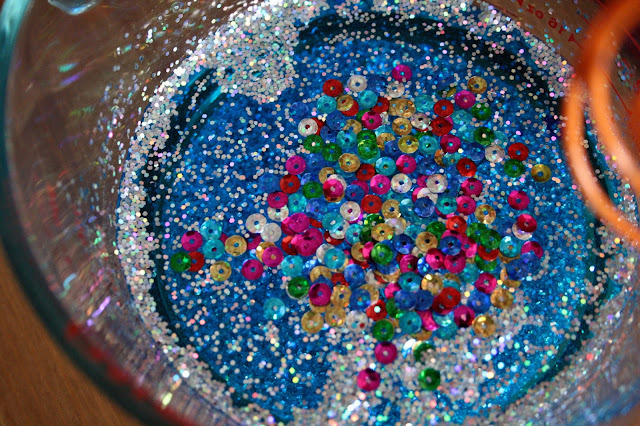 Last week Lovebug and I had a glitter adventure with a project that is known all over the internet as the Calm Bottle. As a 26 year old woman I still have a hard time figuring out all of the emotions that I feel, so when I see my three year old struggling with identifying or figuring things out, I empathize with her greatly. 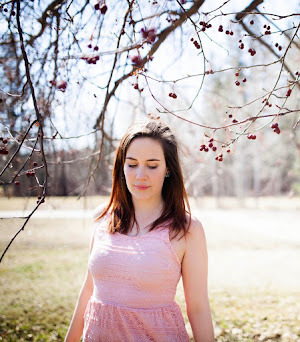 There are times when we can sort out her feelings by asking questions, getting her to just tell me how she feels, or by praying, however, there are many times when we find that space and time is the best course of action. Usually she will go to her room or read a book on mommy's bed, but she spends as long she needs there and comes out when she is ready. 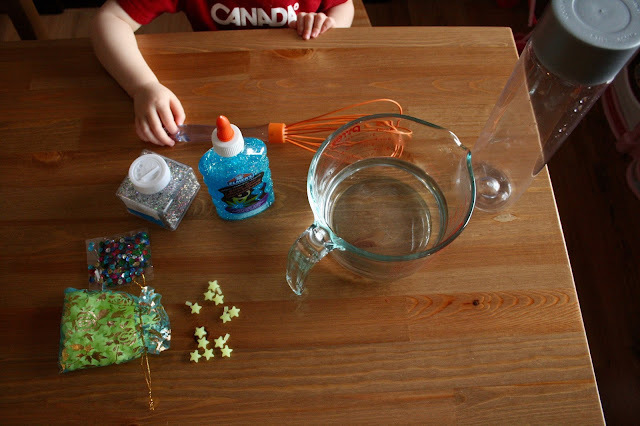 A friend introduced the Calm Bottle to me, a project that she found on Pinterest, and as soon as I saw it I knew that it was an activity that I wanted to do with Bug. 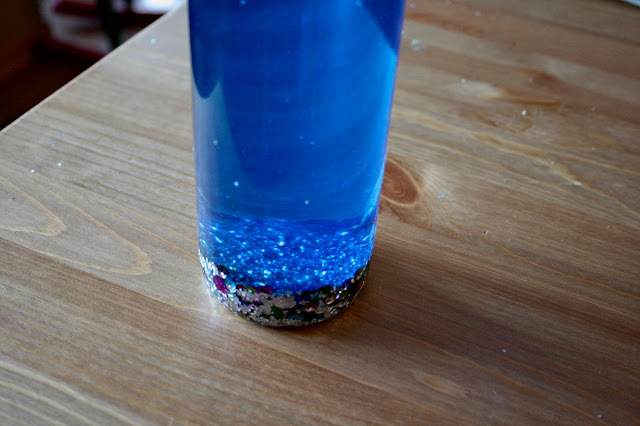 The point of the Calm bottle is that whether they are in time out, quiet time, or just needing a break, they can shake the bottle and watch as the glitter moves and settles down. It is a way for them to get their minds off of whatever it is that has made them upset or confused, and it gives them a chance to "step away" from it and "calm down." We used glitter glue, extra sparkles, sequins, food colouring, and glow in the dark stars for this project. Bug picked out everything that we needed at the store and then she told me how much of everything to add, when to stir, when not to stir, basically this project was entirely hers. 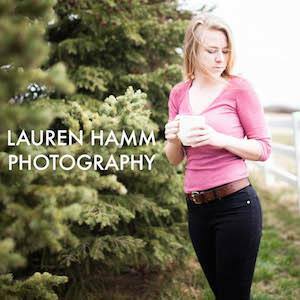 She was in control and we made this project exactly how she liked it. 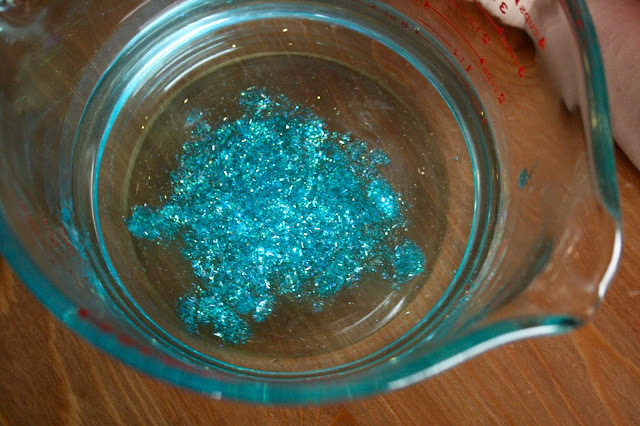 It was way too much fun mixing this sparkle concoction. We added some blue food colouring because Bug wanted it to be a darker blue. 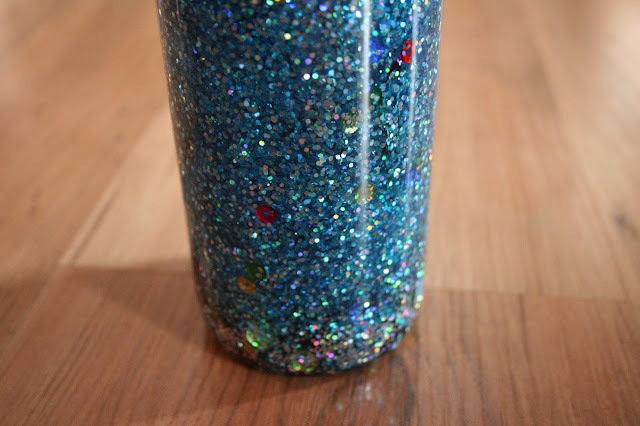 Above: This is what the bottle looks like after all of the sparkles and sequins have settled. It is a little big for Bug to be able to hold with one hand, but she sure loves to shake it, and to be honest, so do I. Watching the sparkles float around is memorizing and dazzling. This is a project I highly recommend, whether you need something to help a child get their minds off of something or if you simply love glitter. There are many variations of this project that I want to make next - using cotton balls & using oil.